Mayors, councillors and city staff from Canada’s largest cities will be among the thousands of delegates in Halifax for the Federation of Canadian Municipalities (FCM) annual conference (May 31 to June 3). This year’s theme—“Tools for Tomorrow’s Canada”—invites delegates to “learn best practices and gain new insights to solve your municipality’s challenges.” In the country’s biggest metro areas, housing affordability is top of mind, making it a likely topic of conversation. With the cost of owning a home out of reach for many, and the ability to rent hampered by virtually non-existent rental vacancies in the greater Toronto and Vancouver areas, there’s a clear shortage of homes where they are most needed. This is bad news for anyone looking to settle in these cities, as limited housing options coupled with a growing population push prices up. But the consequences of this shortage go far beyond families and individuals struggling to keep pace with living costs. A tight housing market (where prices are high and vacancies are low) can also hurt labour markets, with growing businesses unable to attract and retain workers. In short, Canada’s economy depends on healthy housing markets, and healthy housing markets depend on a responsive, growing housing supply. Governments are certainly not blind to the issue. The Trudeau government has launched a “National Housing Strategy” and provincial governments in British Columbia and Ontario have targeted specific groups of homebuyers for new taxes. But the housing shortage will not go away unless municipal governments take a leading role. Because municipalities are uniquely positioned to tackle the shortage at its source; it’s local—not federal or provincial—governments that issue permits for the construction of new homes, meaning that ultimately, the housing supply depends on city hall. Which brings us back to the FCM conference in Halifax, and the invitation for delegates to share best practices. In reality, municipalities vary significantly in their treatment and issuance of building permits. According to periodic surveys of homebuilders conducted between 2014 and 2016, it can take a long time before shovels break ground for new housing—especially where it’s in highest demand. For example, building permit approval timelines averaged almost 18 months in Toronto and 21 months in Vancouver, arguably the two most housing-starved cities in Canada. To shorten timelines, allowing homebuilding to keep up with growing demand, cities could learn from their neighbours. 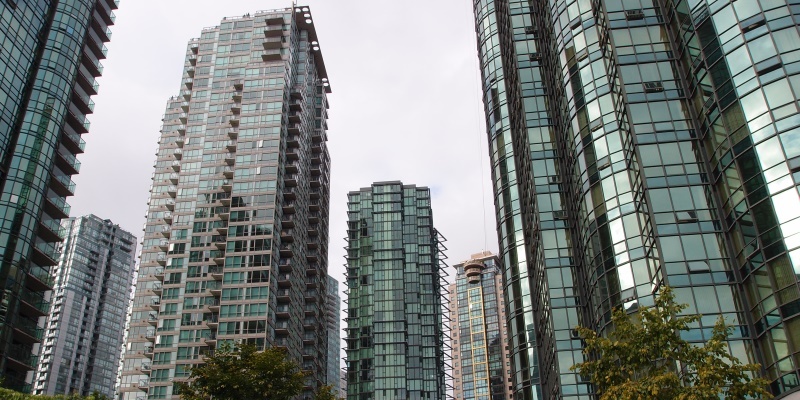 Burnaby and Richmond, both adjacent to Vancouver, typically approve projects in less than seven months, while the Toronto suburb of Burlington grants approvals four months quicker than the greater Toronto average. In Calgary, Edmonton and Montreal, approval timelines are typically longer than a year, while nearby municipalities such as Airdrie, Cochrane and Longueuil are up to six months faster—despite more rapid population growth in recent years. There are clear differences in how Canada’s cities welcome new homes, and these differences must be discussed if governments want to help increase the housing stock. With seven out of 10 Canadians living in metropolitan areas, Canada’s growth depends increasingly on our cities. As centres for jobs, education and innovation, municipalities play an out-sized role in Canada’s continued prosperity. A key feature of this prosperity is the ability for workers and their families to house themselves comfortably, without compromising social and geographic mobility. By sharing best practices on the timely, efficient approval of new housing, this week and beyond, Canada’s municipalities can begin to meaningfully tackle the housing shortage in our country’s largest urban regions.